One of my favorite treats is this chocolate pudding recipe. Give it a try and enjoy. 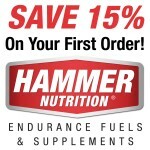 Secret ingredinent – 1/2 scoop of Hammer Vegan vanilla protein powder. You could try any good high quality vanilla protein but I’m not sure I would use whey because of the dairy. The Hammer Vegan has Stevia in it and I think that is what helps cut the bitterness. Without this, it is only OK according to my daughter. You get good healthy fats with lots of B vitamins, protein and antioxidants with the dark chocolate.